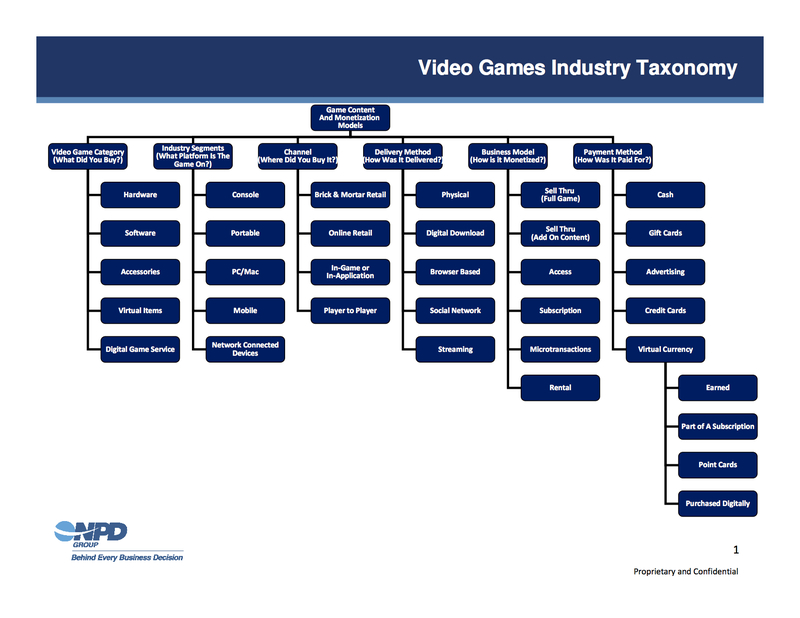 NPD Group is a good resource for market information and they have recently released how they classify video games. They have done a good job of breaking down the game content and monetization models that exists in the gaming industry. Their categorization makes sense to me and I don’t see anything that has been overlooked. See the flow chart below for details.